I love the theme song from ‘Smokey and The Bandit’ almost as much as I love this cocktail. As I have mentioned in the past I run everyday. When its six o’clock in the morning and it feels like there are little weights on my eye lids, because I can’t seem to keep my eyes open, I put this song on my i-pod to get ‘amped’ up. It never fails, within a block or two I am sprinting down the street. Feel free to take a listen; East Bound and Down. Sassy sarsaparilla adds a surprising element to maple forward George Dickel No. 12. 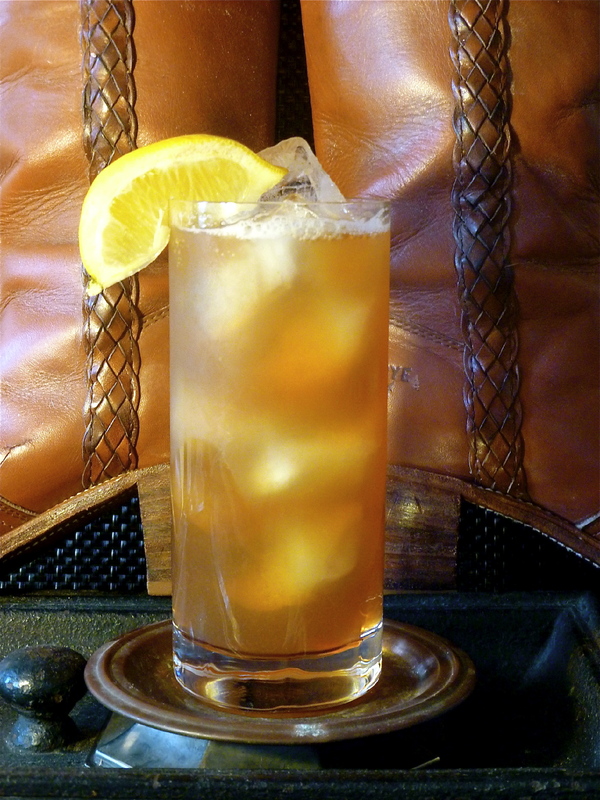 Orange marmalade and Pekoe Sweet Tea soften the bite making ‘East Bound and Down’ not only great for some old-fashioned front porch sittin’ but the perfect cocktail for any occasion. Add George Dickel No. 12, Stirrings Ginger Liqueur and orange marmalade into a collins glass. Stir until marmalade is dissolved. Add Sarsaparilla Soda and ice. Top with Sweet Tea, stir and garnish with a lemon wedge. Enjoy! Bring water to a boil in a tea kettle. Add tea bags and sugar. Stir well until sugar is dissolved. Let steep for ten minutes. Remove tea bags and let cool completely.